Anemia is a medical condition in which the number of red blood cells in the blood decreases which impairs the oxygen supply to body’s parts. The red blood cell or RBCs are cells which imparts red color to the blood as they contain a red pigment known as hemoglobin. The anemic person experiences fatigue, drowsiness and much more. There are many forms of anemia. 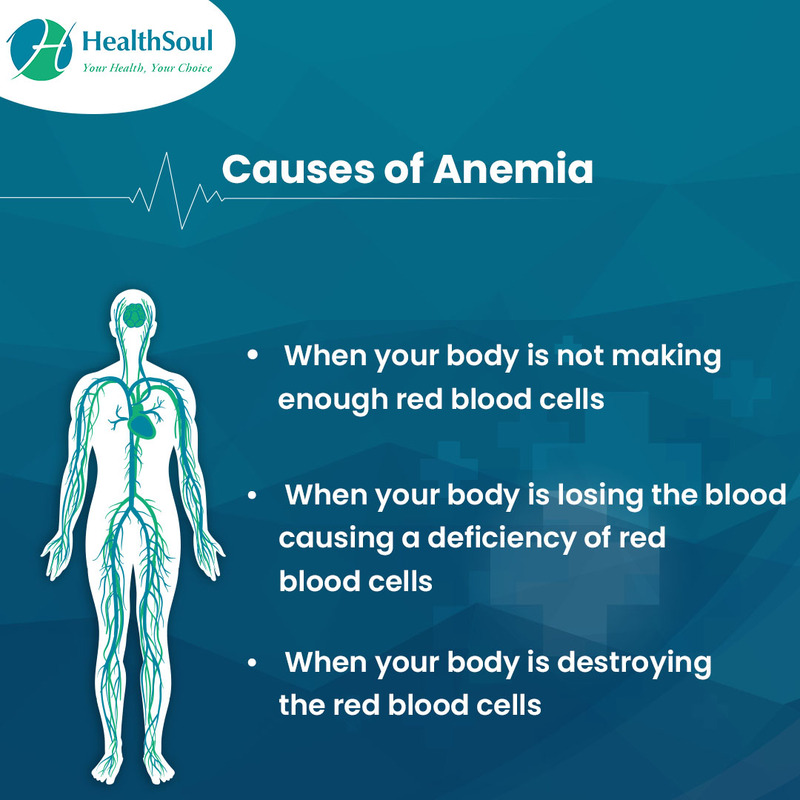 Sometimes anemia is seen as symptom and not a disease as it can be manifestation of various underlying diseases and once the disease is treated the anemia goes away. For men anemia is generally defined as hemoglobin levels less than 13.5 grams per 100 ml of blood and for female this value is 12.0 grams. In the United State about 2% to 10% of people have anemia. 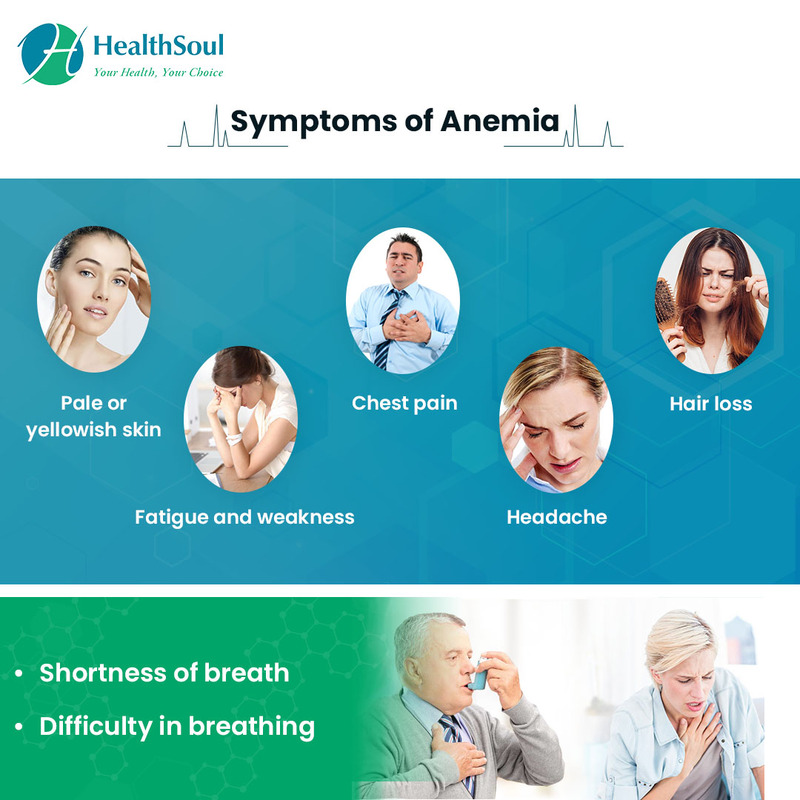 Iron deficiency anemia: This is the most common type of iron deficiency anemia and occurs when the iron storage pools of the body vanish. 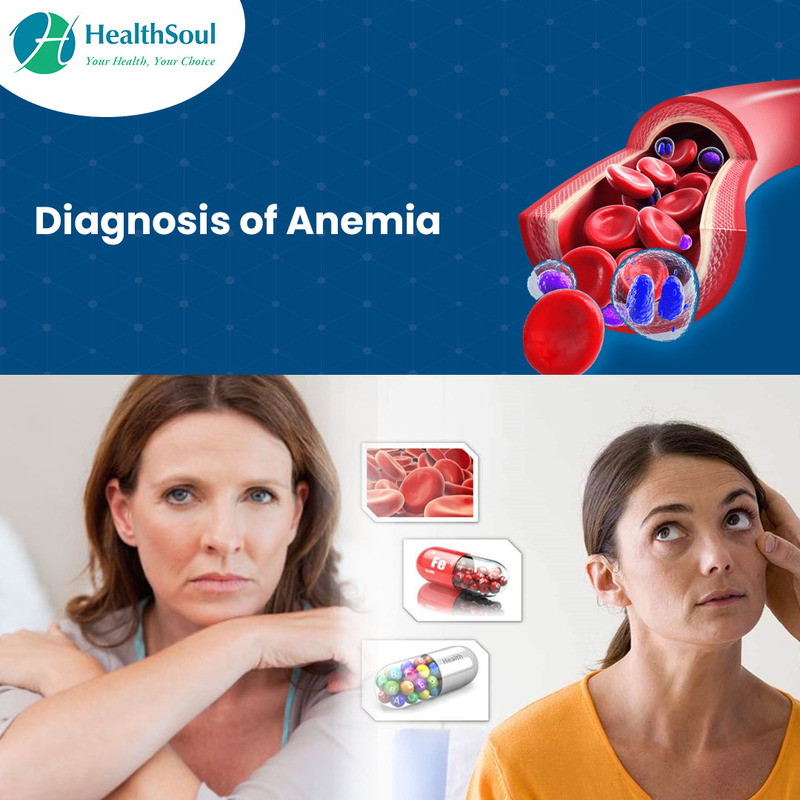 This type of anemia can be seen in people having strict vegetarian diet, pregnant women without any iron supplements or women having heavy menstrual bleeding. Vitamin deficiency: vitamin B12 and folate are also required for the production of hemoglobin. Deficiency of these vitamins can lead to abnormal RBCs production which lacks hemoglobin. Anemia of chronic disease: Systemic diseases such as cancer, SLE, rheumatoid arthritis, Crohn’s disease or any other inflammatory disorders are associated with some factors which suppress the bone marrow ability to produce RBCs. Aplastic anemia: Here the bone marrow is defective and doesn’t produce cells. The defect can be in the bone marrow itself or any other factors which destroy the bone marrow. Injury or trauma: they can cause bleeding and results in loss of blood as well as RBCs. Heavy menstrual bleeding: Female having periods can suffer from anemia as they lose blood easily every month. Sickle cell anemia: It is an inherited genetic disorder in which abnormal type of hemoglobin is formed leading to abnormal sickle like shape of RBCs. These RBCs die early and the production cannot cope with the loss, thus anemia occurs. Calculate the hematocrit value which tells the proportion of RBCs with respect to the blood. Microscopy: Red blood cells are examined under microscope to look for any abnormalities in shape or size which is quite useful to know the cause of the anemia. Iron supplements: if anemia is found to be mild and iron deficiency is found then your doctor can prescribe iron supplements. The cause of iron deficiency is necessary to determine. Vitamin supplements: for vitamin deficient anemia, vitamins supplements like Vit B12, folic acid is given. Transfusions: for conditions like acute blood loss, thalassemia, sickle cell anemia blood transfusion is required. Bone marrow transplantation: For conditions where the bone marrow is not producing normal number and quality of RBCs, then stem cell transplantation can be carried out. Erythropoietin: It is a hormone normally produced by the kidney which stimulates the formation of RBCs. The synthetic preparations of this hormone can be injected to increase RBCs production. Treating the underlying cause: For conditions such as infection or any other systemic inflammatory disease, the above treatment option can be used to fasten the recovery but treating the underlying cause is more important. Your guide to anemia. National Heart, Lung, and Blood Institute.